You speak with them over the phone frequently, but how well do you really know our amazingly talented employees when so much of our work is completed remotely? FirstABS is on a mission to profile our employees monthly so that you, our valued customer, can get to know us all a little better! This month, we’d like to introduce you to Joanna Hunt, one of our excellent Resource Coordinators. 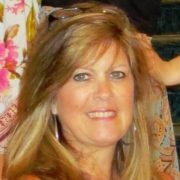 Joanna has been with us for 8 years though her background includes 5 years with the Douglas County School System in Douglassville, GA, 6 years with the Federal Aviation Administration in Atlanta, GA, and 4 years with Prudential Real Estate in Douglasville. She and her husband, Sony, now live and work out of Merritt Island, FL and have 2 sons, Nicholas and Patrick. The people Joanna most admires are her parents, Leroy and Margaret Lunsford. Joanna enjoys spending time with family and friends at activities such as boating, Golfing, Bunco and watching her favorite movie, Bridgette Jones Diary. Her favorite sports teams to cheer for are Alabama Crimson Tide (Roll Tide!) and the Minnesota Vikings. FirstABS would like to say a big THANKS to Joanna for all of her hard work, and for letting us spotlight her in this post, and in our most recent Newsletter! FirstABS Blog – Automate to Accelerate Will the Office Desk Phone Die?